Profile Lumines TOPO type of design. 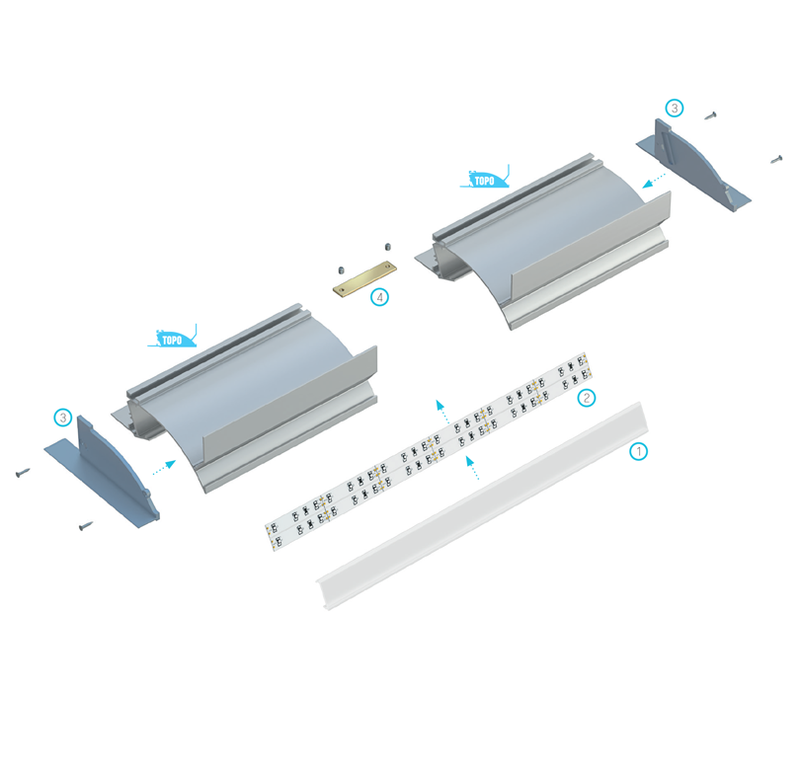 TOPO profile belongs to ceiling profiles międzypłytowych, design, facilitating installation of lighting in suspended ceilings in residential or industrial. mounted interference from the top of the profile. profile is available in standard lengths: 1000 mm , 2020 mm, 3000 mm. 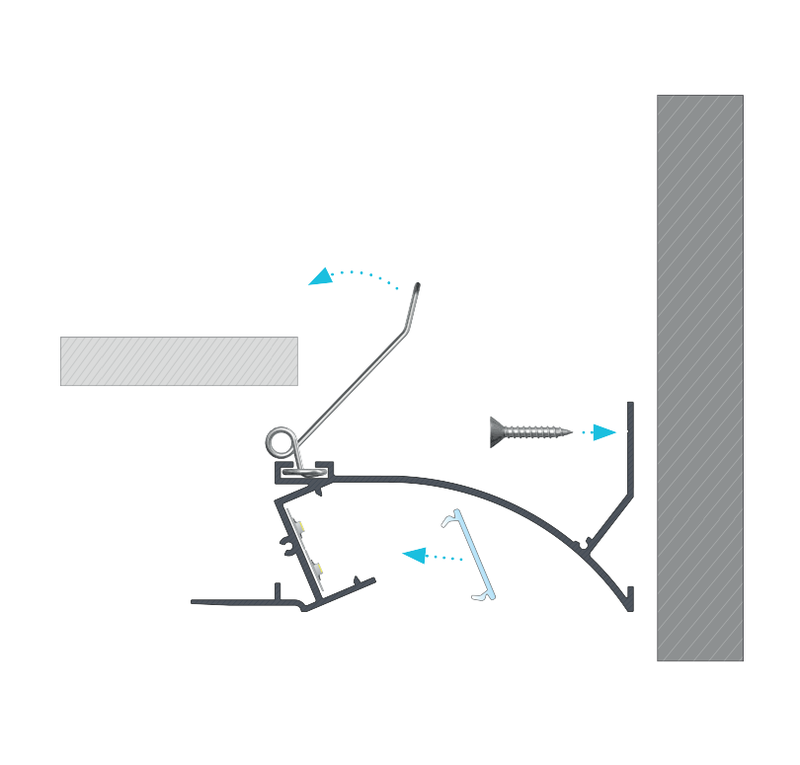 Installation instructions TOPO profile with cover DOUBLE using a spring assembly in suspended ceiling system. The end result TOPO mounting profile with cover DOUBLE using spring mounting system ceilings with zagipsowanym fragment profile. 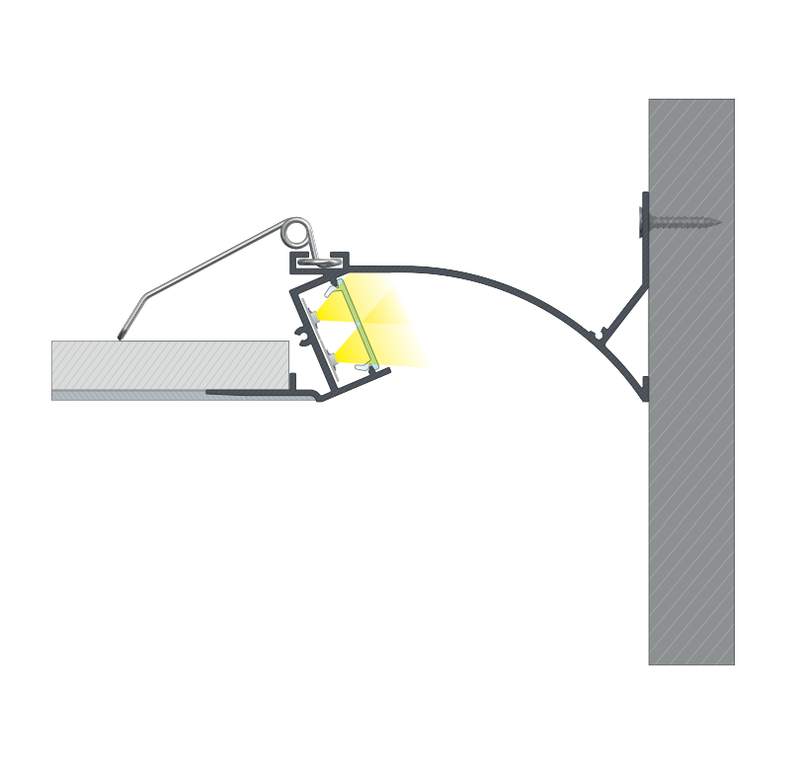 Scheme assembly elements of the lighting system using the profile TOPO (1) DOUBLE lens (2) of LED strips (3) caps TOPO with an opening (4) of the connector straight.